I hope you are getting a little taste of Fall, wherever you are! We've had some great weather and temperatures lately...just wish it would stay like that all year round! 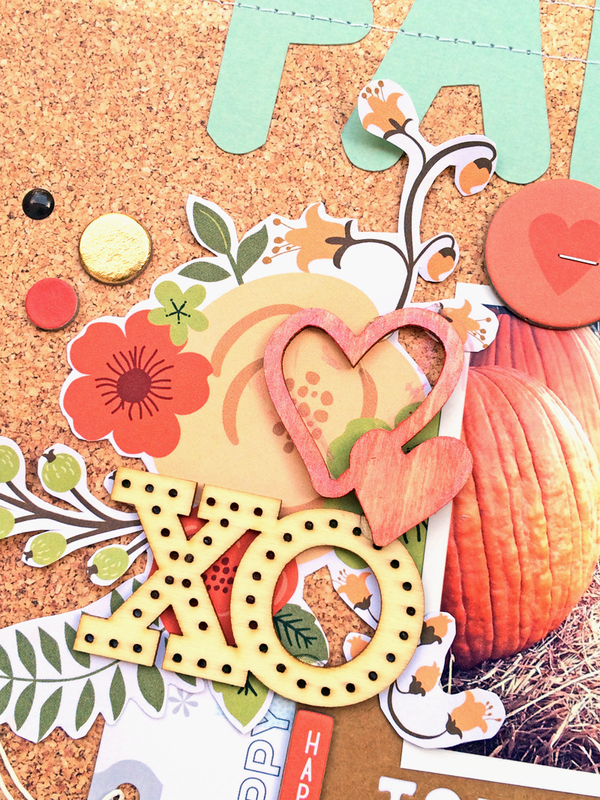 Since I am in the Fall spirit, I have a new layout to share with you today, using the September 2014 Hip Kit & Add-On Kits from Hip Kit Club, with a Fall theme. Fall is my favorite time of year, so I start snapping photos, as soon as the pumpkins come out! 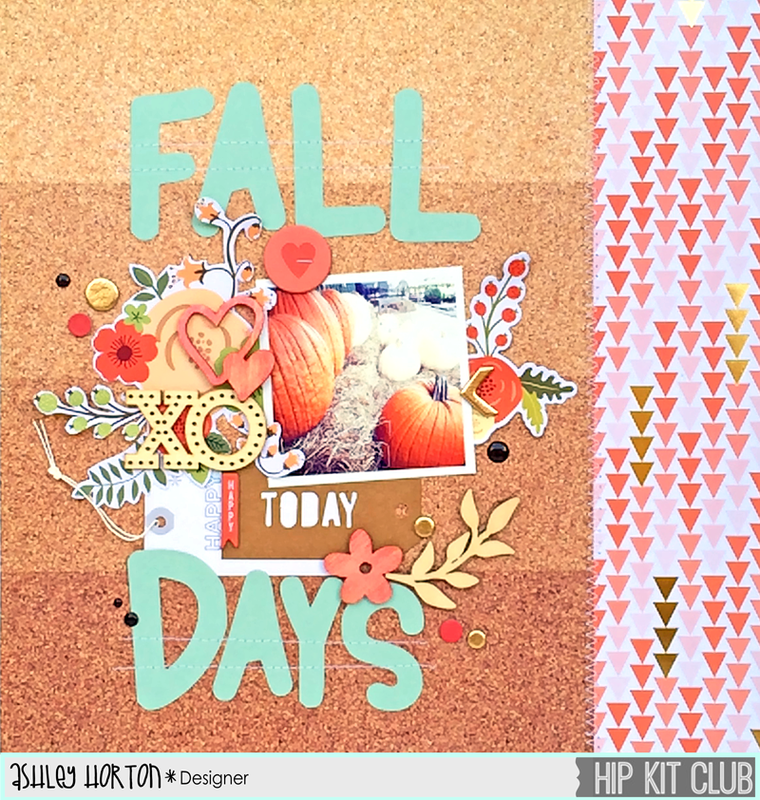 There are some great colors in the September 2014 Hip Kit & Add-On Kits for creating a Fall page. I used the ombre cork side of the Crate Paper patterned paper for my background. Then I layered some fussy cut flowers, chipboard and tags behind my photo. I wanted to also make use of my Gelatos, so I colored over two of the wood veneers and used a wet paintbrush to smooth out the color. 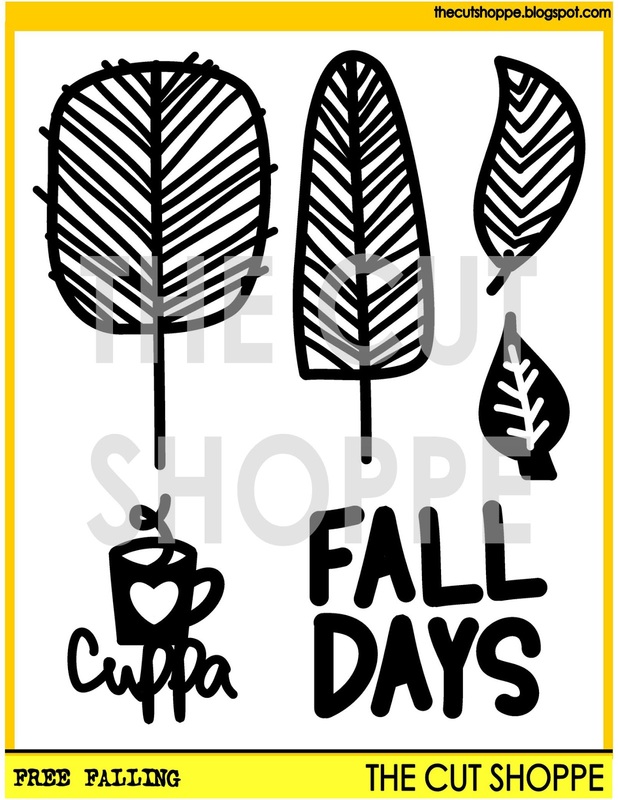 I finished my page, by cutting the Fall Days title from the Free Falling cut file from The Cut Shoppe and added some machine stitching for an extra touch of texture. 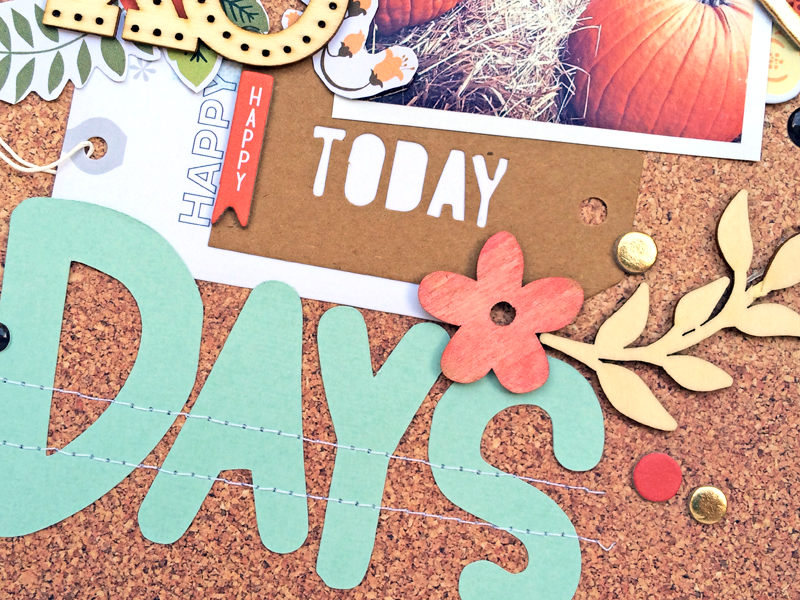 If you have friends or family going on an extended trip or kids going away to college, you can put together a quick card, with the September 2014 Hip Kit & Add-On Kits. 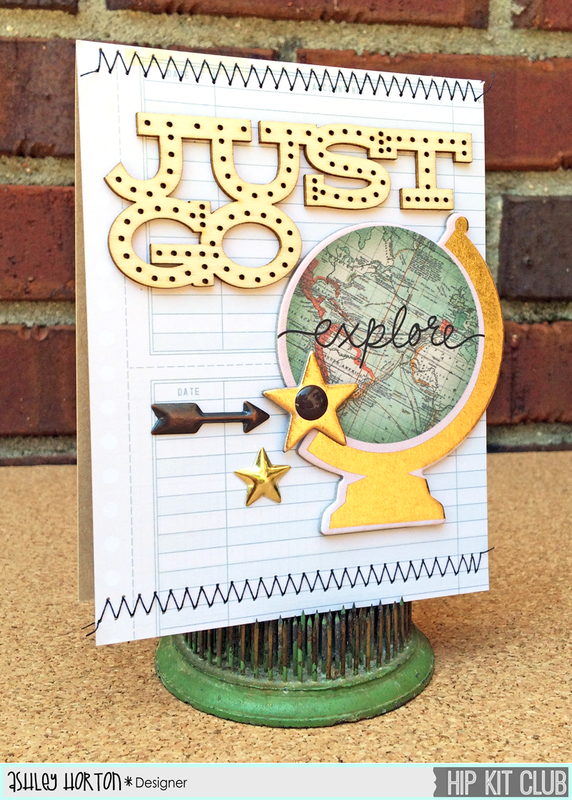 I used the Just Go sentiment from the Studio Calico wood veneer pack, and paired it with the Chipboard Globe from the MME Market Street Chipboard Element pack. I kept my embellishing simple and added a chipboard star, enamel dot, and arrow and star from the MME Metal Shapes pack. And I used a zig zag stitch at the top and bottom of my card, in Black, for a nice contrast. Don't forget to stop by the Shop, to pick up your October 2014 Hip Kit & Add-On Kits!! Make sure you get them, before they sell out! !